Spring is usually a happy time for us. Between March to April we celebrate Easter, multiple birthday's, and my wedding anniversary. Hallmark Canada helped me out with a few gift ideas for Spring, and I wanted to highlight the ones we used for Easter gifts. Just in time for Easter, Thumper (c.Disney) greets you in three different phrases and thumps his hind leg. My daughter called him an Easter bunny because she yet hasn't seen the beloved classic movie Bambi. 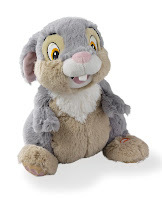 We think Thumper is super-soft and easy to activate. Interactive teddy and story book on CD. 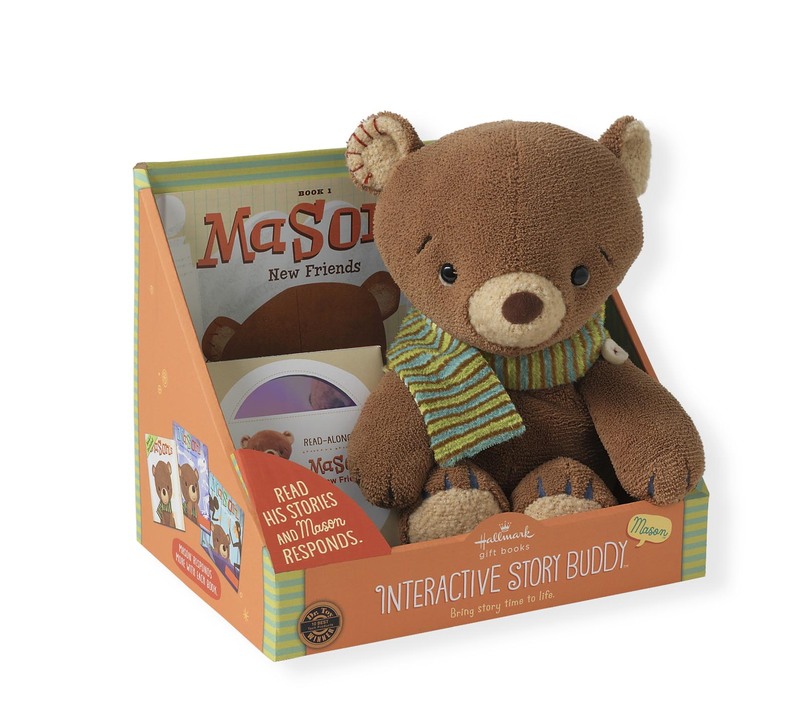 Introducing the new line of interactive Story Buddies, including a choice of 6 or 7 characters, each come with a book, a CD with an audio version of the book, and a story buddy that will chime in at significant places in the story. This was an instant favourite friend and we love that there are other books featuring Mason available for purchase (MSRP $9.95). Right now Hallmark Canada is sponsoring a Special Moments Photo Contest hosted by Reader's Digest. It's your chance to share unforgettable family snapshots and possibly snag a $500 Hallmark prize pack. Disclosure: I am a member of the Hallmark Canada Press Pause Panel and will receive product perks from time to time. All opinions remain honest and my own. Awwww, so cute. I love Hallmark. They always have the sweetest things.